Although everyone needs to pay attention to retirement planning, women often have very specific financial needs due to the unique circumstances they can face in the working world. It’s common for women to be paid less than men and to take (unpaid!) time off for maternity leave; women who return to work after having a child also tend to spend time catching up for lost time—and wages. In light of these challenges, finding a retirement planner that accounts for these scenarios is key. While robo-advisors like Ellevest have been designed with women in mind, our financial planning needs to consider retirement specifically. 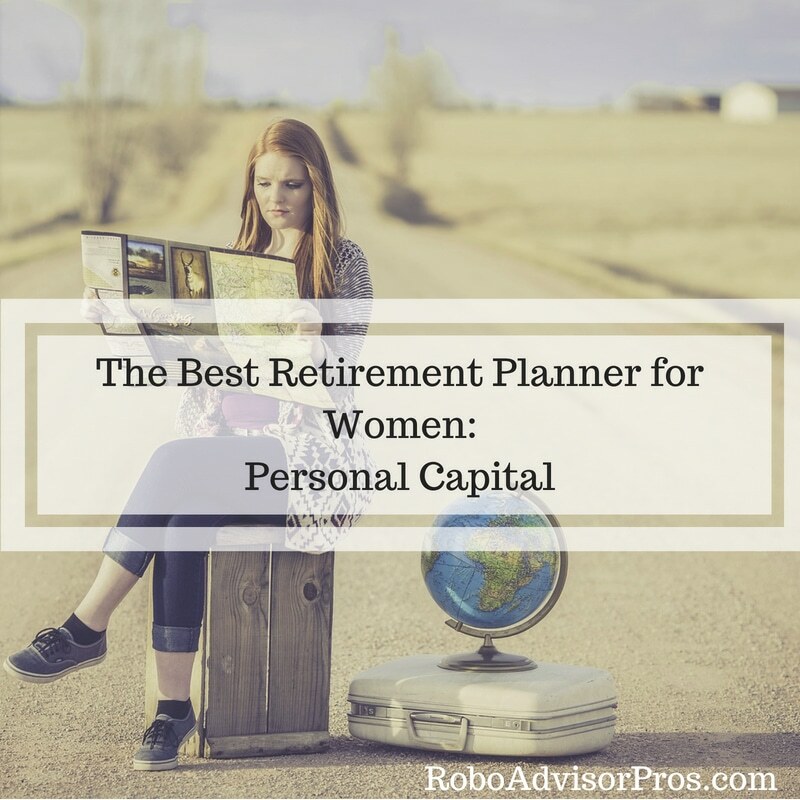 If the title didn’t give it away, I’m here to rave about Personal Capital as a great retirement planner for women. 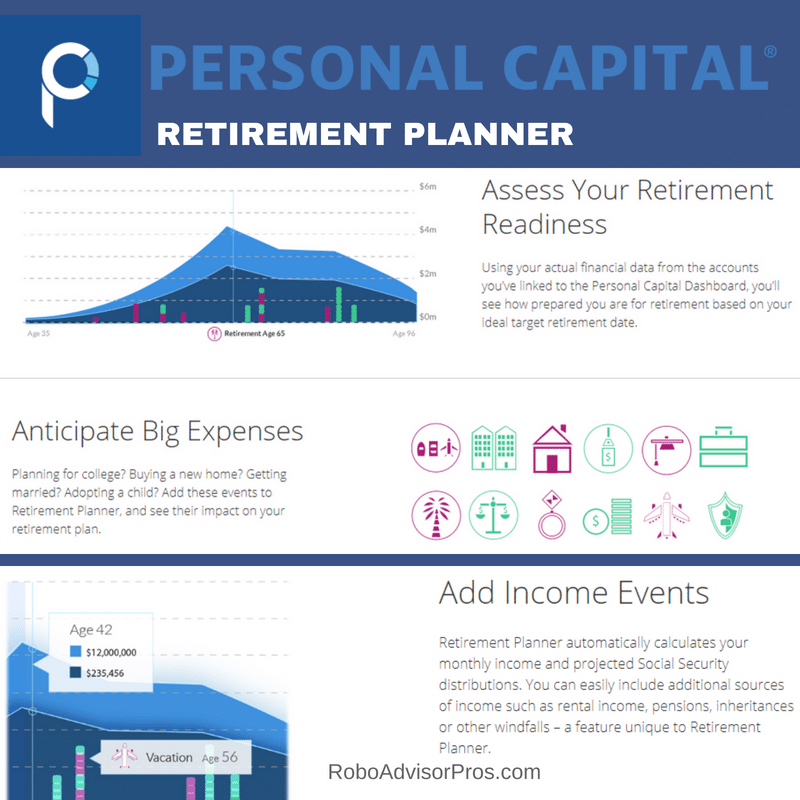 What is Personal Capital’s Retirement Planner? 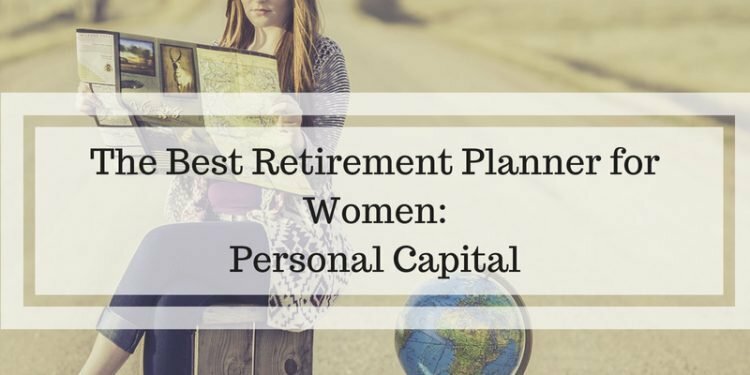 Personal Capital is a large money management system, but for today’s article I focused specifically on their retirement planner. The Personal Capital retirement planner has many of the features you would expect it to, including linking retirement accounts, asking users questions about their saving plans and other large purchases or financial commitments, and running scenarios to determine likely outcomes. 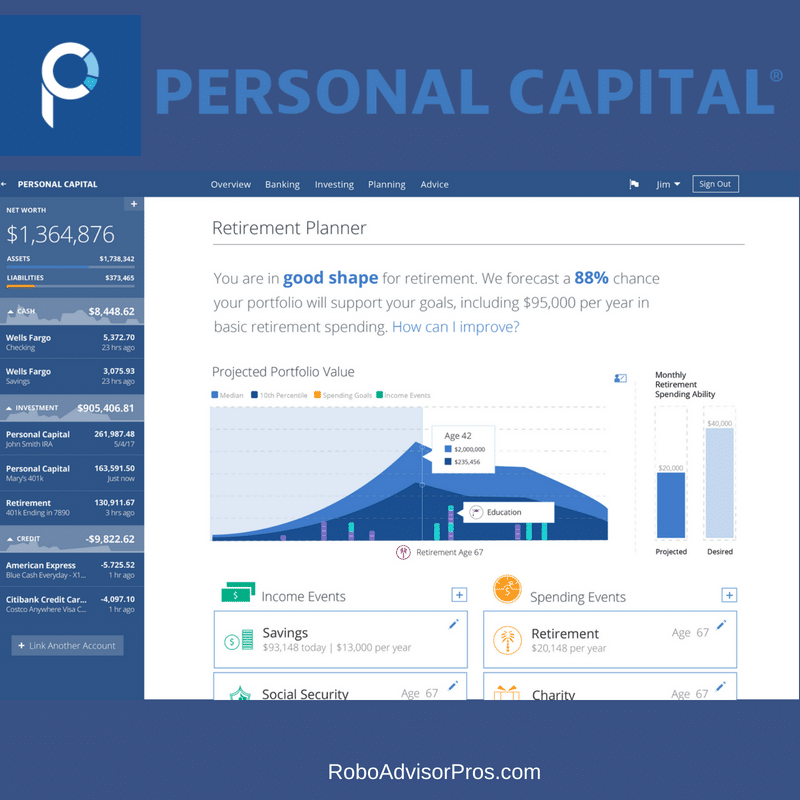 The Personal Capital retirement planner is free to use, and the basic features were all I needed to get a good idea of how my current investments and financial goals will impact my plans to retire. When you first sign up for an account you are prompted to link your accounts. I chose one of my 401ks, which immediately (once I remembered my password!) displayed on my dashboard. At any time you can link other accounts or add assets such as property or portfolios. The more you add, the more clearly the projections can accurately calculate your chances of financial success. After you link an account, you can proceed right to the retirement planner. From this pace, the system asks a few questions about your income, yearly savings, anticipated retirement age, and whether you have a spouse and children. It’s very easy to add different spending and income changes to the retirement planner. You can also design different possible scenarios (Should you buy a $250,000 home or just an RV?) and compare your results to see what factors help you reach your desired outcome more clearly. I had a lot of fun creating different possible scenarios through this planner. Overall, I found the platform use intuitive. It was easy to add potential purchases and income increases to get a better picture of what I might need. Below is a review of some of my experiences playing around with the planner. Let’s start with my favorite feature: the retirement planner allows users to link multiple retirement accounts to see everything in one place! I have had a few careers with retirement plans, and right now they are all still sitting separately. Having retirement savings in multiple different places can be overwhelming, and it’s easy to lose track of where things are. Having everything displayed as one cohesive whole makes me feel a lot better about my retirement prospects. Why this is good for women: Poor maternity leave options, the cost of child care, and low wages may cause some women to leave jobs more frequently than their seemingly more stable male counterparts. Although my job changes had to do with changing careers entirely and not for one of the above issues, I was still keenly aware of how I could best arrange flexible working hours to avoid paying thousands of dollars in child care once I had my first child. The last thing most people want to do when they are changing jobs is worry about 401k rollovers, and after leaving a job it can feel like your access to that money is more difficult than it should be. If leaving your retirement funds where they are makes the most sense for your situation, at least linking them under the same planning tool helps you keep everything in perspective. Actually, when my sister wanted a way to view all of her investment accounts in one place, I suggested that she sign up for the free Personal Capital Dashboard. The sign up is fast and easy and the financial overview rivals paid investment managers. Personal Capital Retirement Planner, Adding Scenarios—Hey, Why Did That Drop? I was feeling really good at first. I had roughly ball-parked my retirement spending, averaged a very modest amount of yearly savings toward retirement, and watched as Personal Capital ran through a few thousand possible scenarios. They gave me a 93% success rate—woo hoo! Then, I started adding some scenarios. The first thing I added was a house purchase in 5 years, with a $60,000 down payment. What’s nice about Personal Capital’s retirement planner is that it has a visual representation of your retirement projections. It can only calculate what you give it, and I had forgotten to update my yearly savings goals to reflect my new goal. When I added such a large purchase to my planner without factoring in increased monthly savings, the algorithms estimated that I would actually have to borrow money from my retirement savings. Within the retirement planner I was able to tweak my yearly savings goals until I saw a positive uptick in my potential for success. As an added bonus, the Dashboard reflects my progress to my yearly savings goals and lets me know how much more money I need to save this month to reach those goals. I just loved how every change I made adjusted the projections visually. Although I am already married, I added a $25,000 wedding in my near future and watched as my savings dipped and then rose again—after a brief recovery period. This was a sign to me that I would need to adjust my savings in order to meet this goal and keep my retirement on track. You can also add estimates for dependent support to account for children you have now or may have in the future. Even with very conservative estimates of how much children will cost each year, it was clear that something needed to change in order to make children a financially viable option! Why this is important for women: Bringing a child into the world can be a double whammy for women. Due to sheer biology, women’s careers tend to be affected by childbirth and less-than-ideal maternity leave options depending on the country of residence. Also, since childcare costs are sky high, two-income families might opt to have one parent stay home. Since women are frequently paid less than men, they tend to take time off of work and return after the children are in school. This means less money made over the course of their working lives. It’s very quick and free to sign up for the Personal Capital Retirement Planner. 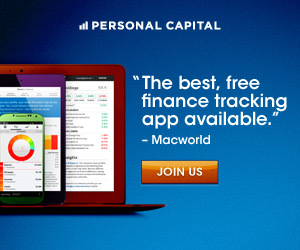 First click here and sign up for Personal Capital. After quick sign up click > Planning and next click > Retirement Planner. I had a lot of fun looking at retirement prospects with this tool. It’s easy to use and has many of the most common scenarios prominently displayed whether you are adding assets, a large purchase, or a sudden life changing event. Overall, I really enjoyed how customizable my projections were. Everything I added or removed was instantly calculated by the program and created a ripple effect, which I could see reflected in my asset growth chart. Although the retirement planner is great at anticipating what might happen with your current situation, it’s also an easy and convenient way to predict how your hopes and goals can actually support your goals. And, the Personal Capital Retirement Planner is not for women only, it works just as well for men!